Air cleaner or air purifier is increasingly in demand in industrial as well as household applications in recent years. The use of this equipment help to purify the air from contaminants such as smoke, dust, pet dander, pollen, bacteria and other allergens. A study shows that indoor pollution is so much greater than outdoor pollutants due to the chemicals that are used to manufacture the household products and the house itself. Removing these contaminants from the air helps to provide relief to asthma patients and those who are sensitive to other allergens. Many modern buildings have built-in air purifier that are installed to the air conditioning systems to remove these contaminants. The standalone HEPA air cleaner with electronic controls and LCD display. 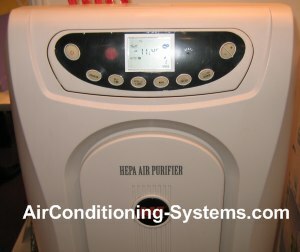 The most popular household air purification system in use is the HEPA type that sometimes come with an ionizer installed. HEPA or High Efficiency Particulate Air filters help to remove 99.97% of 0.3 micro meter airborne particles. 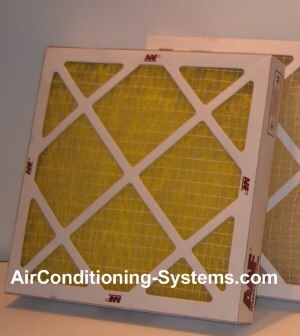 The particles are usually being forced by a high speed fan towards the filter and trapped there physically. The ionizer which is usually an option and can be power ON or OFF by the user. When activated, it generates a high voltage charge that ionized the surrounding air causing the dust to be trapped at the collector plate. ON/OFF button to activate the equipment. Some models have LED indicator to display the status of the unit. Remote Control similar to the television remote may come with the unit but at a higher price. This is not really a necessity if you are not too particular about gadgets. You do not usually change the settings of the air purifier. The typical HEPA air filter inside the air purifier that needs to be changed after a certain number of operating hours. Filter Change indicator is needed to remind you that it is time to change the filter. Once the equipment has accumulated a certain hours of operation, this filter indicator will light up. Older models have a mechanical knob that you set yourself to change it after a certain period of operation. Ionizer button that is used to ON or OFF the ionizer in the filter. Newer models have this built-in at a higher price. Clock is present in models that use LCD display. Timer control is used to set the ON or OFF time of the equipment. Useful if you want to set it OFF a certain hours after you sleep. Air Flow speed determine how many times the air is purified in an hour. A typcial one will have 5 times of air changing per hour. Electronic air cleaner or electrostatic precipitator is another type of air purifier that is being used today.